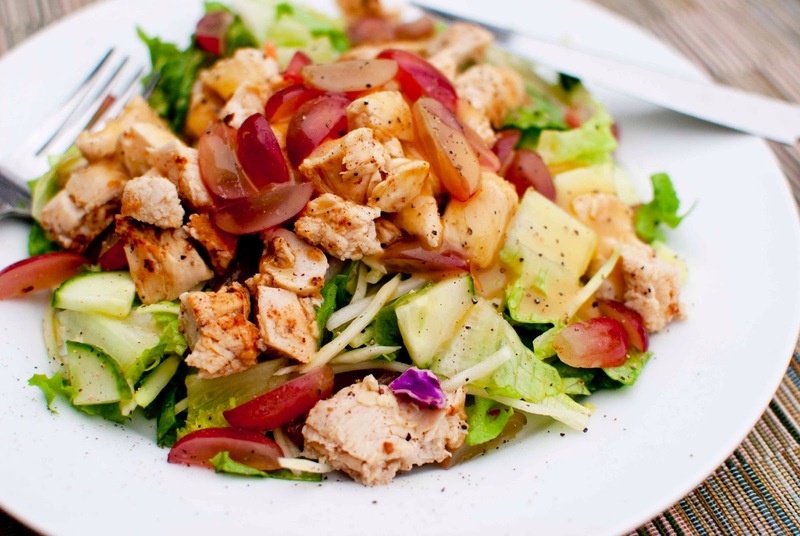 Sweetpea-Lifestyle: Easy Paleo Chicken Salad! 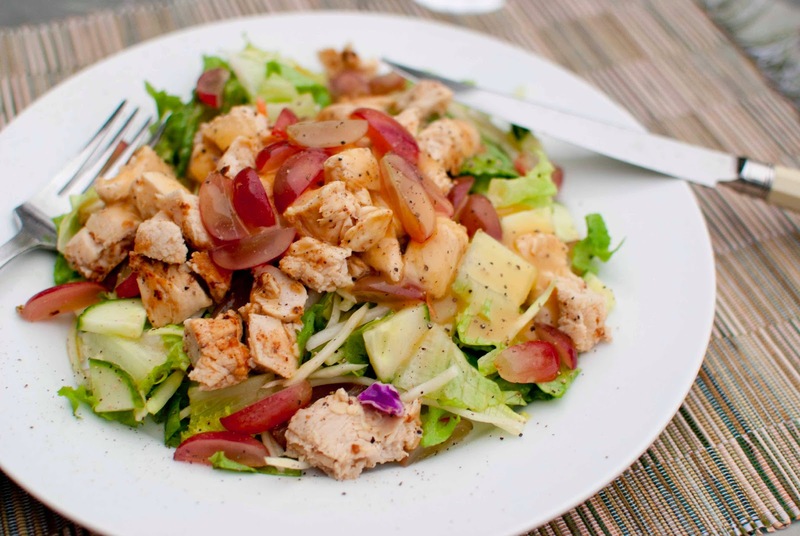 If you have chicken, greens and other salad accouterments in your fridge, you're ready to go! I'm pretty picky about my salads - I like one of everything per bite. Therefore, I cut my chicken, grapes and cucumbers a bit smaller than normal... I don't want a bite of JUST lettuce, or JUST chicken... I want the whole shebang! See how easy that was?? And.. it was ready in under 20 minutes. 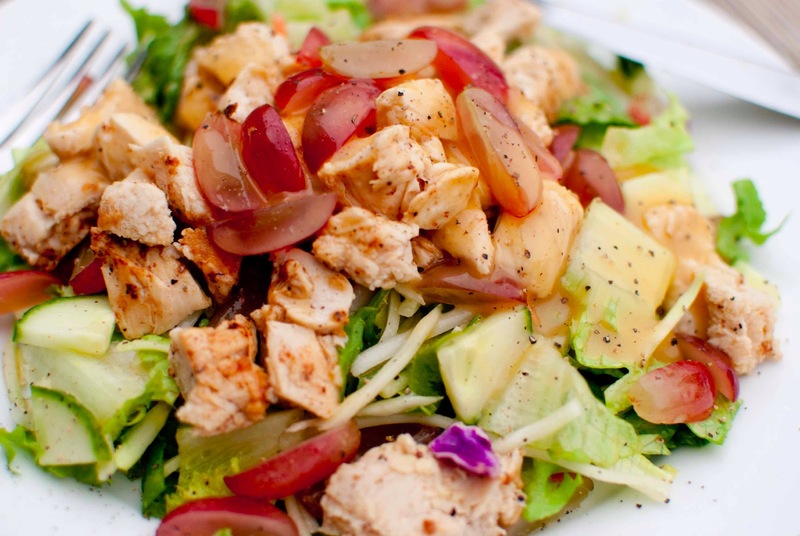 Eating Paleo - which is no gluten, no sugar, and no dairy - can be super yummy. I didn't miss any of the no-no foods - didn't even notice!